China did not participate in the Iraq war, but is still reaping the benefits of its prize—oil. Imperialism doesn’t pay. Of course, it never did for the common folk recruited to invade another country, or the natives they conquered. But still, the thought persists that occupying foreign lands—particularly as in the case of Iraq, soaked in oil as well as blood—is a winner. True, Saddam Hussein’s Iraq, with its nonexistent WMDs and virulent hostility to the religious fanatics that attacked us on 9/11, was a false target for a war on terror. And yes, a Shiite-run Iraq is now closely allied with co-religionists in Iran and Lebanon, whereas Hussein had once been our ally in containing the power of the ayatollahs. But “we” now control Iraq’s vast oil reserves, some hawks will still argue in the manner of the idiot savant Paul Wolfowitz, who as then-deputy defense secretary promised that the oil would pay for the war. Only they, like he, have once again been proved wrong. That myth of wealth following the flag can finally be put to rest with the report in Sunday’s New York Times headlined “China Is Reaping Biggest Benefits of Iraq Oil Boom.” What the Chinese have demonstrated is that in the modern world, to the conquerors do not go the spoils. The United States has spent well over $3 trillion on its Iraq War, while suffering and inflicting much mayhem. 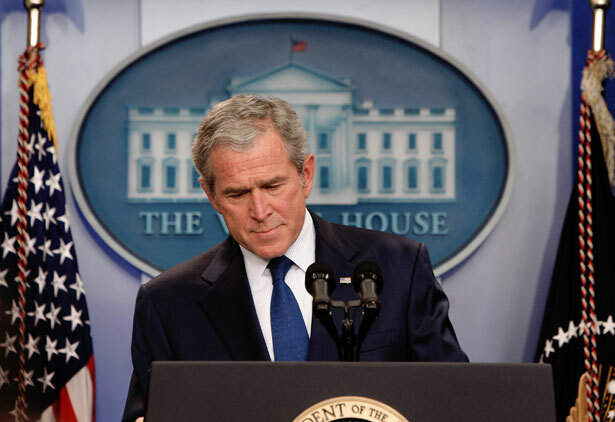 Yet it is the studiously neutral government of China that has most clearly benefited from George W. Bush’s folly. Beijing refused to play the militarist’s game but coolly picked up the winner’s prize. “Since the American-led invasion of 2003, Iraq has become one of the world’s top oil producers,” the Times reports, “and China is now its biggest customer.” Almost half of Iraq’s oil production already is shipped to China, and those once vilified commies, reincarnated as today’s robber barons, are bidding for an even larger stake in Iraq’s oil field production. The Cold War is indeed over, but China’s red capitalists have won. While the United States remains mired in the outdated task of establishing military hegemony through a vast network of advanced bases and sophisticated weaponry, the Chinese have emerged as the world’s most nimble entrepreneurs, shrewdly covering their bets without the distraction of patriotic flag waving. Actually, the Chinese had quite a bit to do with the war in that they profited from the interest on the loans they made that floated the U.S war debt. This debt will continue to increase as we remain stuck with the bill for that Fifth Fleet protecting the shipping lanes connecting Iraq’s oil with China’s ever expanding economy. Not exactly the tone of our policy toward China during the Cold War, or with Iraq more recently. Possessed of an armed forces power dwarfing all that came before, we have been drunk on the elixir of military confrontation. Ignoring the plea of Washington’s farewell effort “to warn against the mischiefs of foreign Intrigue, to guard against the Impostures of pretended patriotism,” we wallowed in that very imposture. A nation born in revolt against the preoccupations of empire came to embrace foreign military conquest as its raison d’être. Particularly during the era of post-9/11 hysteria, the arrogance of unquestioned nationalist power has come to define our political culture. How ironic that the once ossified police state of communist China should now threaten us with a free market alternative. The next time we feel the need to go to war—Iran comes to mind—we might be cautioned by Beijing’s startling turnaround. This was the government that would never abandon its revolutionary politics, it was commonly said. And now an Iraq Oil Ministry official is quoted in the Times as saying of the Chinese: “They are practical people. They don’t have anything to do with politics or religion. They just work and eat and sleep.” Sounds like how we used to be. Read Robert Scheer on Congress and Wall Street.